The Kaska Dena Council is asking the federal government for what would be the largest land claim payout in Canadian history: $1.5 billion. It's also asking for almost complete political control of 240,000 square kilometres of land. The Kaska Dena Council is asking the federal government for what would be the largest land claim payout in Canadian history: $1.5 billion. The group wants the money paid out as a lump sum, unlike most land claims which are paid out over many years. It also seeks an additional $50 million every year in perpetuity for a yet-undefined "Kaska entity." The terms are set in a letter​ dated April to the federal ministers of Justice and Indigenous and Northern Affairs Canada (INAC)​, which was recently obtained by CBC. The letter is in response to a recent court case​ where the federal government seemed to open the door to negotiating outside Yukon's Umbrella Final Agreement. $500 million for the Kaska Dena Council. The two Yukon First Nations involved — the Liard First Nation and the Ross River Dena Council — are among the smallest in the territory by population. The Liard First Nation has 1,209 citizens and the Ross River Dena Council has 552, according to INAC. The Kaska Dena Council is not a First Nation but rather a registered society, which represents three First Nations in British Columbia and two in Yukon. Its website lists a staff of 14 people. The letter does not address what the small council, or the Liard First Nation, which is mired in third-party management, years behind on audits, and dealing with allegations of mismanagement, would do with the money. The Kaska Dena Council's letter isn't just about money. It also sets terms for almost complete political control of land, asking the federal government to ensure "that the Government of Yukon will not have administration and control over the Kaska territory." The letter asks that the Yukon Act — the territory's very foundation in law —would have "no force and effect in or on the Kaska territory." The Kaska's letter​ calls for a huge swath of land. By contrast, the Umbrella Final Agreement provided for about 8.5 per cent of the Yukon's area to be returned to all combined signatory First Nations as settlement land. Only three Yukon First Nations have not negotiated land claim agreements: the Ross River Dena Council, the Liard First Nation, and the White River First Nation, which is based in Beaver Creek and is not included in the letter. Its land claim negotiations with the federal government have been stalled since 2005. There's no word yet on whether the federal government will even consider the terms set out in the letter. Indigenous and Northern Affairs has not responded to CBC's request for comment. The letter signed by Kaska Dena Council chairperson George Miller says the group would not represent its member nations in negotiations, rather saying that chiefs and councils would "play a lead role." The letter is not signed by Kaska chiefs, but was sent to Ross River Dena Council Chief Jack Caesar, as well as now-former chief of the Liard First Nation, Daniel Morris. Neither Miller or Caesar could be reached for comment. 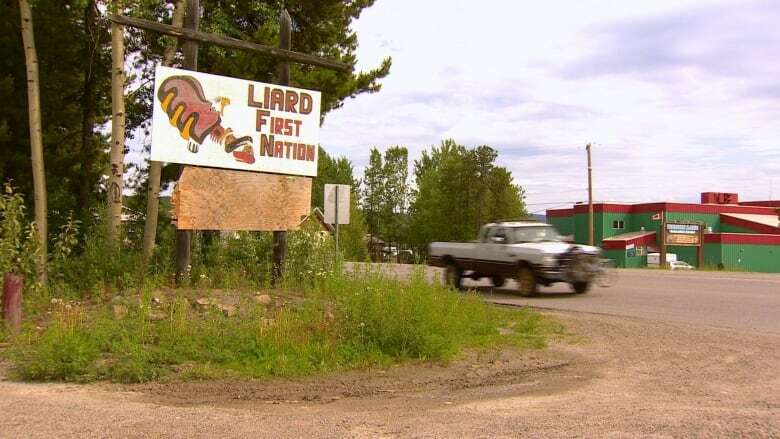 ​The Liard First Nation's new​ly-elected chief George Morgan says the idea will go no further without ​community consultation. "This proposed framework agreement was a surprise to the new Chief and Council," Morgan wrote​ in an email to CBC. "We wonder why our members, the owners of the title, were not consulted on such an important matter​.​ The Liard First Nation's new council remains committed to ensuring there are no dishonourable or illegal alienations of Kaska title without the free and informed consent of all Kaska." The amount the Kaska Dena Council is seeking would easily be the largest land claim payout in Canadian history. It would eclipse the entire Nunavut Land Claims Agreement worth about $1.14 billion spread out over 14 years. No other Canadian land claims have come close to the billion-dollar mark. In 2016, the Algonquins of Ontario​ voted in favour of an agreement-in-principle worth about $300 million in compensation. The James Bay and Northern Quebec Agreement, approved in 1975, saw the Cree receive $168.8 million and the Inuit receive $91 million in compensation. The Kaska Dena Council's request especially stands out in Yukon. It ​is​ more than six times the entire compensation paid to all Yukon First Nations who signed the Umbrella Final Agreement ​​finalized in 1990. That agreement included compensation of $242.67 million divided amongst 13 signatories. In 1989, the Liard First Nation walked away from negotiations where compensation was set at $24 million​. The new request is about 20 times that amount.